Dan McFarland will officially take over as head coach of Ulster on Monday after he was released from his deal with Scotland. It was announced back in April that McFarland had signed a three-year contract with Ulster, although it remained unclear as to when exactly he would be free from his commitments as forwards coach under Gregor Townsend. 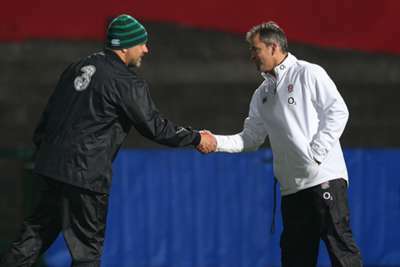 Scottish Rugby, Ulster and the Irish Rugby Football Union (IRFU) all released statements on Sunday to confirm that an agreement had been reached, allowing McFarland to begin his tenure. "Scottish Rugby has reached an agreement with Ulster and the IRFU to allow forwards coach Dan McFarland to begin working with the club tomorrow (Monday)," read a release on Scottish Rugby's official site. "McFarland, who joined the Scotland coaching team from Glasgow Warriors in 2017, was announced as Ulster head coach in April but was contractually obliged to remain in post for a nine-month notice period (ending in January), having originally signed a deal to the summer of 2019. "The governing body and Pro14 side have, however, reached a mutual agreement on terms to allow him to take up his new role immediately." The IRFU and Scottish Rugby have reached an agreement to allow Dan McFarland to begin working with Ulster Rugby tomorrow, Monday. Ulster finished fourth in Conference B in 2017-18, missing out on a place in the post-season before defeating the Ospreys in the European Champions Cup play-off.